Almost all people wanted to have the best and the fastest car in the world, but unfortunately, lots of them can only have it through their dreams. The very reason why not everyone can have a fancy car is because they are so expensive, supercars come with an insane price that only a few people can afford. A supercar if generally a limited-edition of a sports car that goes very fast in just a few seconds, if ever that you owned one of this car, then congrats you’re a supercar owner and many will typically envy you while you drive on the road. In this article, it will show some of this superb and the Most Ridiculously Expensive Cars in the Market that will surely make you drool. This superb super sports car is popularly known for its admirable collector’s design and breathtaking performance, it looks like a fighter jet flying low while on the road. It is said that it is one of the most exclusive cars in the globe. The Veneno Roadster comes with 750 horsepower engine that lets you reach from 0 to 100 kilometers per hour in just 2.9 seconds and a top speed that stands at 355 kilometers per hour. The Veneno Roadster is equipped with the extremely fast-shifting ISR transmission with five modes and is driven by a twelve-cylinder engine with a displacement of 6.5 liters. 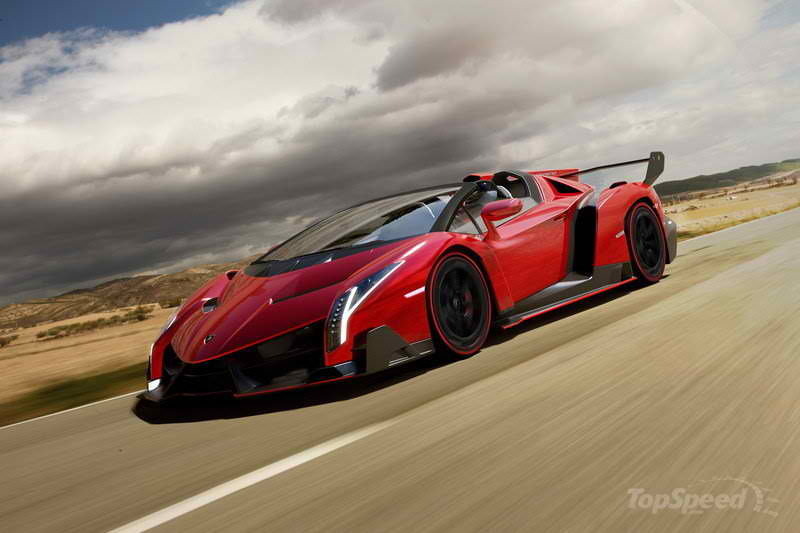 Because of its great design and performance, Lamborghini Veneno Roadster cost a staggering 4.5 million US Dollar. Bugatti is well known for producing iconic and fastest supercars throughout the history and the Veyron 16.4 Grand Sport Vitesse is definitely no exception. Thanks to its 16 cylinders, 1,200 horsepower engine propels this supercar from reaching 100 kilometers per hour in a mere 2.6 seconds and not only that, it can reach 200 kilometers per hour in 7.1 seconds. With its vicious engine, it can reach a maximum speed of 410 kilometers per hour. You also shouldn’t be worried about how to stop safely this super-fast car because Bugatti Veyron Grand Sport, Vitesse can decelerate from 100 kilometers per hour to a stop in just 31.4 meters, thanks to its impressive braking system considering that the Veyron’s weight is 1,990 kg. If you want this iconic supercar then be ready to pay 2.7 million US Dollar and you can own one of the only eight produced Veyron from Bugatti. If want a supercar that aside from being a fast is something that’s light and agile then McLaren P1 is the one that you are looking for. However, there’s only one drawback about this supercar, all of the 375 units produced are already sold out with a price of 1.15 million US Dollar on each unit. The one great thing that McLaren P1 offers an amazing technology because it comes with 903-hp gas/electric hybrid engine. This supercar will sprint from zero to 96.5 kilometers per hour in just 2.7 seconds, 244 kilometers per hour in 9.8 seconds and continue to accelerate hard until it reaches its superb top speed of 349 kilometers per hour. In 2013, a person named Anglena Tan purchased a supercar from Singapore worth an overwhelming price of 5.3 million US dollar and it is the most expensive car in Singapore, the Koenigsegg Agera S. The automaker of Koenigsegg Agera S has only produced 100 units presenting a 1,030 horsepower V8 engine wrapped in a full carbon fiber body. This supercar accelerates fast and lets you reach from 0 to 100 kilometers per hour in just 3 seconds and reach its top speed that stands at 386 kilometers per hour. Because of its staggering price, only a few will ever really experience this splendid supercar. The SSC Tuatara is said to be a monster sports car created by the SSC or Shelby Super Cars. Tuatara is powered by a twin-turbocharged V8 that will produce 1350 horsepower. Thanks also to its impressive curb weight design, it is capable of accelerating from 0 to 96.5 kilometers per hour in just 2.5 seconds faster than a Bugatti Veyron and McLaren P1. The SSC Tuatara top speed reaches up to 442 kilometers per hour. It was priced at a weighty 1.3 million US Dollar and it is said to be the worthy successor to the world record breaking SSC Ultimate Aero. Technically, this splendid supercar was named after the South American god of wind. The Pagani Huayra is the all-new supercar which replaces the legendary Pagani Zonda and it sells for 1.4 million US Dollar. The Huayra is exquisite and comes with a 6.0-liter, twin-turbo V12 engine that makes this supercar one of the world’s fastest and most advanced supercar. It accelerates fast and lets you reach from 0 to 100 kilometers per hour in just 3.3 seconds and reach its top speed that stands at 370 kilometers per hour. It’s said that it’s perhaps the most fashionable, gorgeous, best-driving supercar there has ever been. The famously known Italian automaker had created and released a machine that enables people that will be able to drive it at the limit easily, but of course only if you can buy one. 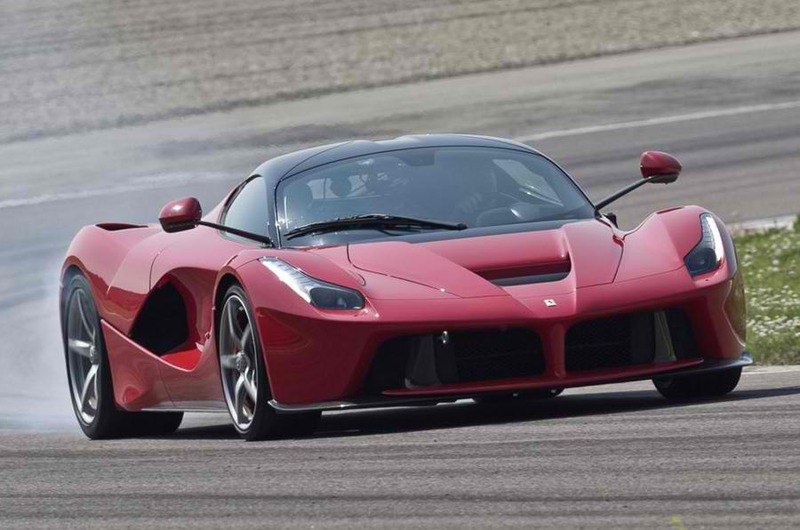 The LaFerrari that will be produced will be only 499 units costing a staggering 1.7 million US Dollar. This supercar comes with a carbon fiber body, 950 horsepower that enables you to accelerate from 0 to 100 kilometers per hour with just less than 3 seconds and at the top speed of 354 kilometers per hour. It is said that it should be the fitting successor of Ferrari’s top brand the Enzo. The GTA Spano is a supercar that got both the remarkable looks and outstanding performance. This supercar comes from GTA Motor and is manually hand built making it quite rare. They are overwhelmingly fast, thanks to its 900 horsepower, 8.4 liter V10 engine rocket that enables you to accelerate from 0 to 100 kilometers per hour with just less than 3 seconds and at the top speed of 349 kilometers per hour. The manufacturer will only produce 99 units and only on a made-to-order basis and the price would be above 1 million US Dollar. The Hennessey Venom GT is said to be the fastest convertible supercar in the whole world accelerating at the top speed of 426 kilometers per hour. It can reach 100 kilometers per hour in just 2.7 seconds, thanks to its mid-engine V8 that is capable of generating a 1,200 horsepower to push hard this 2,800-pound car. Generally, this supercar cost more than 1 million US Dollar making it not affordable to everyone, but only for those who had plenty of wealth. The Porsche 918 Spyder is the Porsche’s answer to the Ferrari’s LaFerrari and McLaren P1. It the worthy successor to the vaunted Carrera GT supercar and it comes with a superb hybrid engine. With the combined power of 944 pounds/ft of torque and 887 horsepower from the electric motors and mid-mounted V8, it is capable of delivering a Bugatti like acceleration with a total of 887 horsepower. It gets to 100 kilometers per hour in just 2.8 seconds, while its top speed reaches 339 kilometers per hour. With its amazing technology and performance, it only comes with a price of 845,000 US Dollar. There’s no doubt that these cars have gotten their reputation due to their price. However, if you think deeply about their performance, you’ll find that they are worth the money you’ll be spending on them. If not for use, they are at least a good display.